As I mentioned in a previous post, Lexington, KY is one of my all time favorite places to visit. It’s the second largest city in Kentucky and is the horse capital of the world. 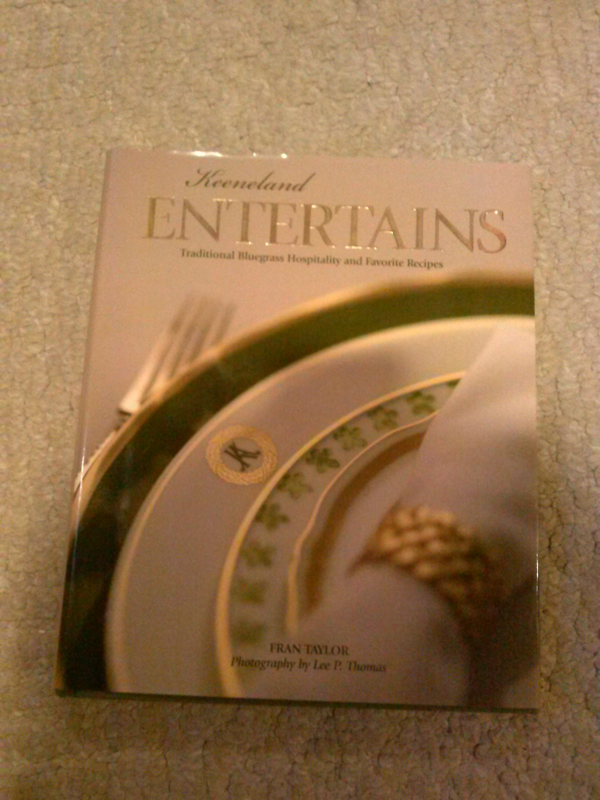 For a foodie like me, this town is a perfect example of what gracious entertaining means. Last week, three of my girlfriends decided it was time to start an exercise regimen. Kudos to them! In addition, they decided the exercise of choice would be water aerobics at the clubhouse pool in the gorgeous condo golfing community of Griffin Gate. Now here in Memphis, I’m pretty comfortable declaring that most of us in Memphis would head to the nearest Backyard Burgers following our workout for a healthy turkey burger on a wheat bun with french fried sweet potatoes (yum!). However, that’s not how it works in Lexington. 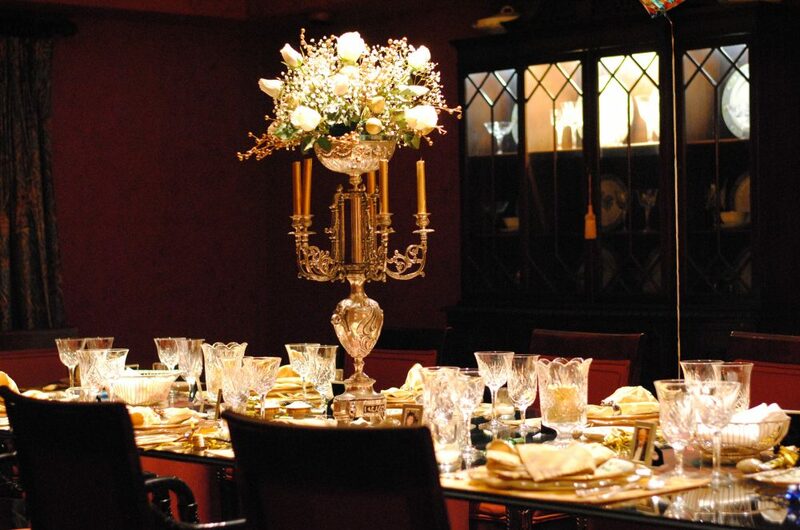 The exercise date is just another excuse, as if they need one, to cook something elegant and decadent to celebrate the beginning of a new regimen. Spring Celebration Salad, page 185, is a delicious light lunch and makes a fantastic entree. It is perfect to prepare right before heading off to the races (or water aerobics.) The recipe is based on a popular Swedish dish, which has a lot of ingredients and requires some advance preparation, but is simple to put together. Serve it with a crusty french bread and a good white wine. The ladies enjoyed, Louis Latour Ardeche Chardonnay. A perfect choice! This chardonnay is an elegant pale yellow with pleasant flecks of green. The aroma is fresh almonds and florals. AAAhhh. 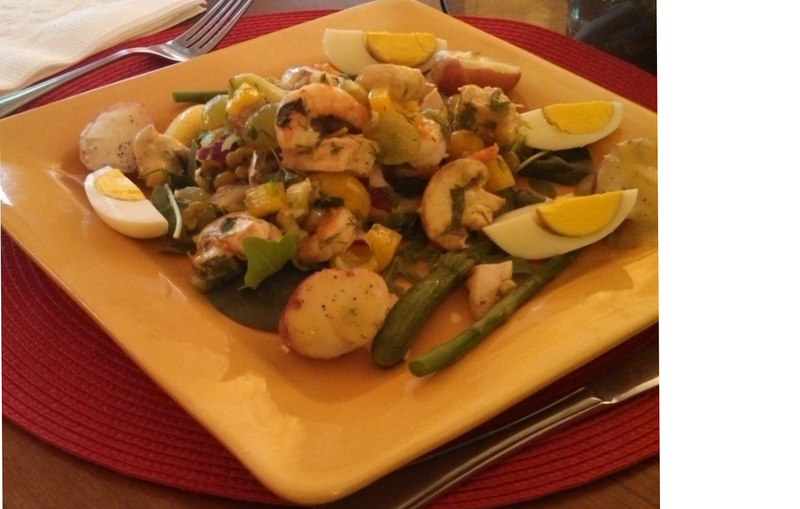 This beautiful salad contains Swedish deveined shrimp, crabmeat, mushrooms, petite sweet peas, chilled asparagus, green onions, red onion, capers, boiled eggs, and garnished with basil. Isn’t it lovely?? 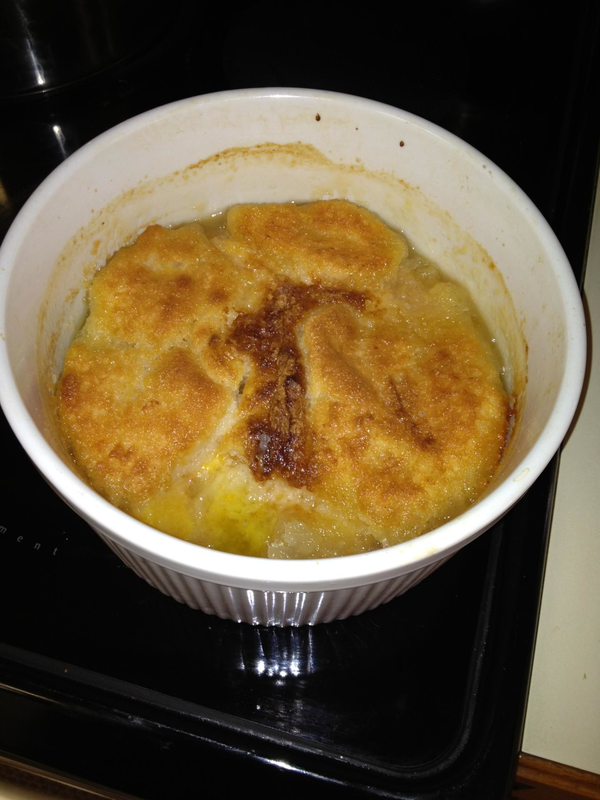 Summertime Fresh Peach Cobbler served in french souffle dishes. Cobbler from page 233. This cobbler is so gorgeous and comes out of the oven resembling a fluffy french souffle. Do you agree? Tradition has it that this wonderful recipe is enjoyed on hot evenings in Lexington following the Keeneland summer sales. It’s a great way to enjoy the abundance of the season – fresh peaches! I must close this post now and prepare for my morning ritual of 30 minutes on the elliptical machine followed by 15 minutes of free weights at our local YMCA. I can’t imagine having having this fabulous lunch waiting when I return . . .maybe I should try the water aerobics class . . . This entry was posted in Uncategorized by cythomps. Bookmark the permalink.